Last week, Politico ran a story about “A Second Stimulus for K Street,” in which the author discussed the profitability of lobbying regulatory agencies in this climate (which Dom Ruscio of Cavarocchi, Ruscio, Dennis & Associates, LLC referenced when he quipped “Regulation is the new earmarks” in a January Lobbying Certificate Process). 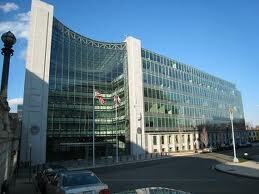 The SEC, like many other government agencies, is scrambling to write and enact rules to enforce recent legislation. But don't be deceived: contacting SEC officials is still lobbying. The story suggests that “unlike traditional lobbying, regulatory work is part of the largely unreported influence economy, like political intelligence, grass roots and research.” This is only partly true. While lobbying regulatory agencies is indeed lucrative, a lot of regulatory agents are executive branch appointees, and thus lobbying these individuals is subject to HLOGA rules and LDA reporting. Obama defines “Executive agency” as including each “executive agency” defined by section 105 of title 5 of the United States Code (read: all of the regulatory agencies), plus employees of the US Postal Service and Postal Regulatory Commission, but excluding employees of the GAO. Under President Obama’s Executive Order, these officials cannot accept any gifts of any value from lobbyists. Additionally, contacts made with these officials should be reported on the LDA filings, if the thresholds for lobbying are met. Any firm or individual receiving $3,000 or more per quarter from a particular client, makes a second lobbying contact on behalf of said client, and spends 20% or more of the time for that client (not comprehensively, this is evaluated on a per-client basis) must file an LD-1 registration. Any lobbying contacts made on behalf of that client, including contacts to regulatory agencies and other Executive Branch officials, must be subsequently reported on future LD-2 forms. This entry was posted on Tuesday, March 22nd, 2011 at 8:05 am and is filed under Ethics Tip by Vbhotla. You can follow any responses to this entry through the RSS 2.0 feed. Both comments and pings are currently closed.